Today is the one year anniversary of Harley Coming home with us. About a year ago we started searching for a dog. And not just any dog would do, but one with plenty of personality. A dog that just fit “us”. 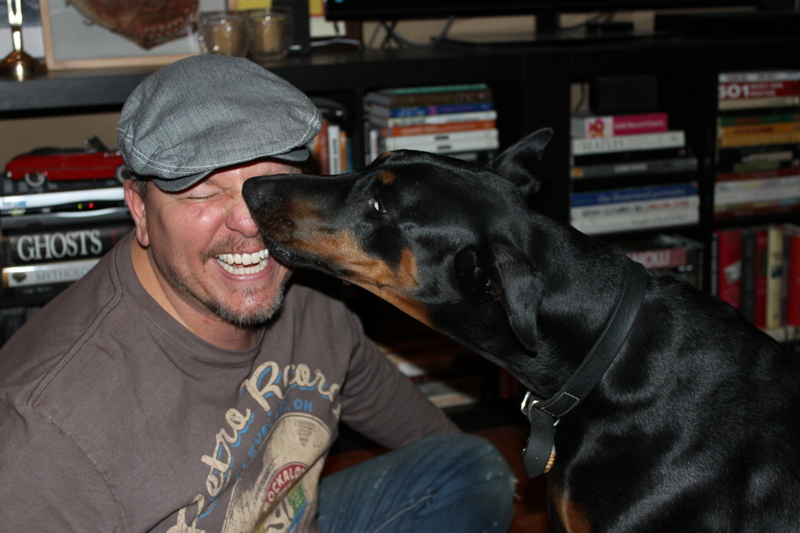 “I don’t care….I just want a dog”….was the reply. So I sent an email asking if she was still available to meet. But we weren’t the only ones interested in her. Apparently, she had about 6 other people ahead of us wanting to adopt her. 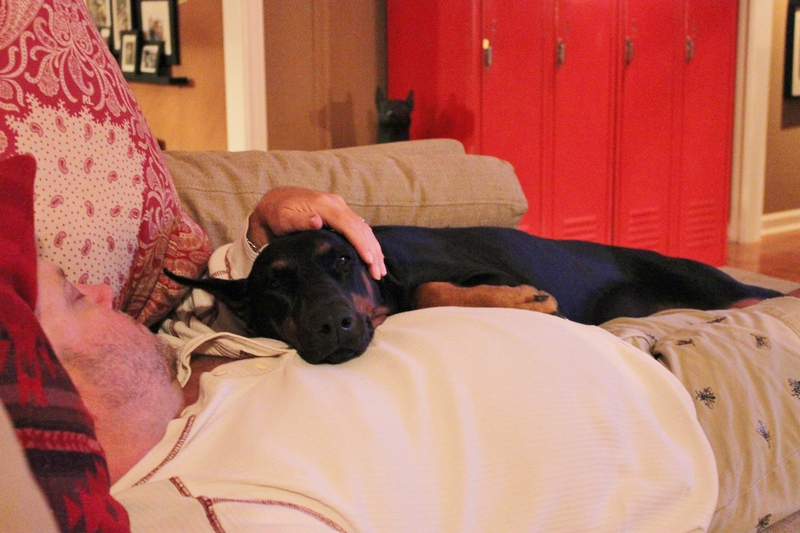 Sara, the coordinator for North Texas Animal Rescue, asked me to send a longer email explaining a little bit about who we were and our experience with Dobermans…. My partner and I are both mature (read: in our 40’s), have stable careers, and have been together about 4 years. We bought a new house 7 months ago and have been waiting until we were settled to find a dog to complete our family. Jamie, my partner, works from home and is here all day long. 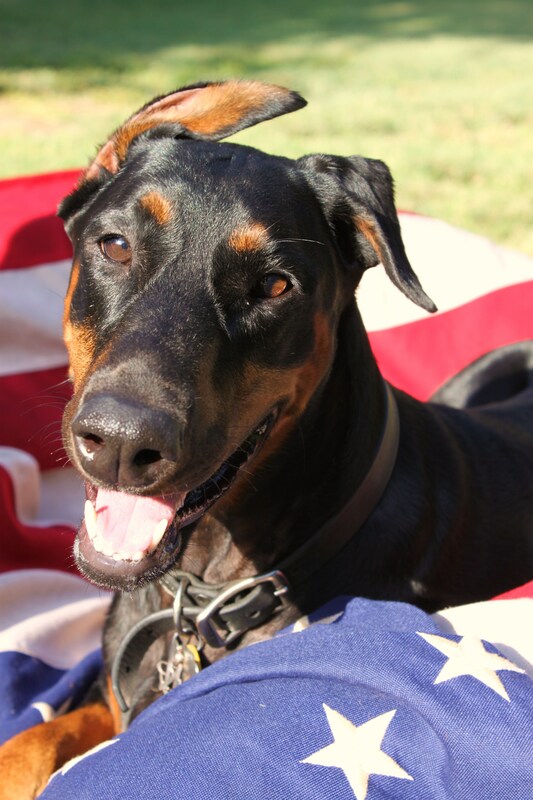 I know that Dobermans can be large breeds, and have a large amount of energy. Having raised and trained a puppy, I can understand that they might be a bit much for some people to handle. 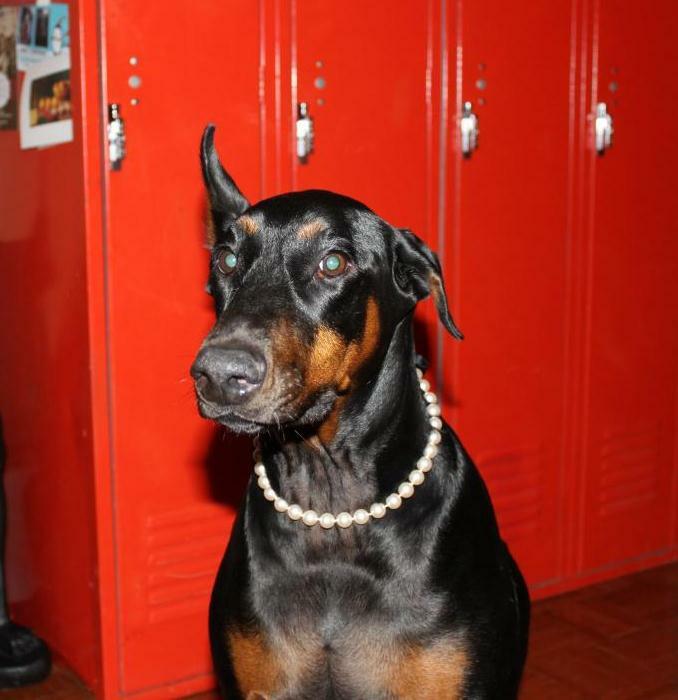 We want to open our home to a Doberman that needs one. We would love to meet Harley and see if she is the right fit for our family. This is a big decision, and not one that I would ever rush into. Jamie doesn’t care what kind of dog we get; we both have big hearts and plenty of love to share with any new addition……….. But there will always be a special place in my heart for big loving Dobermans. 2 days later we went to “just meet” her ……The minute we saw her, with one floppy ear and one that sticks straight up, we knew that she was the perfect dog for us.